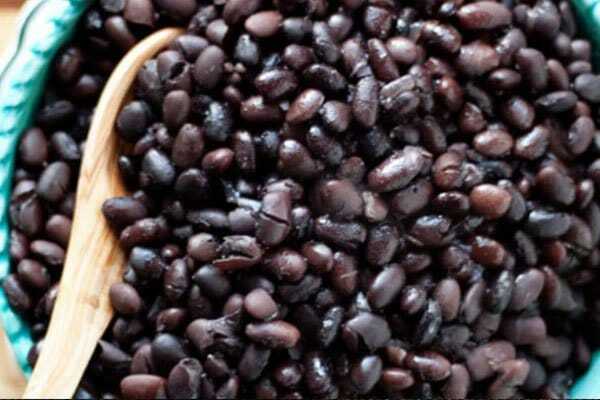 Soak dry, raw black beans overnight…they really swell up, so use 10 parts water to one part beans. Start with a couple of cups of dry beans to get a sense of it. You can use canned beans, but I don’t like them due to the BPA in the plastic coating of metal cans. The BPA leaches into the food. Rinse at least 6 times to remove the gassy sugars…or don’t, and make it exciting for everyone around you. Boil beans in just enough water to cover them until tender—about 90 minutes. Add water periodically as needed. I like to boil mine at a low setting for a few hours to make them super tender. Add salt, cumin, turmeric, parsley, onion, garlic, red pepper, etc to taste (make it you your own—you have to eat it). I add flax seeds and chia seeds to bump up the Omega 3 Fatty Acids. I can’t stress enough that you should use some turmeric…it is a super-potent antioxidant. Puree, mash, or leave them alone. I use an immersion blender/stick blender to get a smooth consistency.